What Is Discipleship? How Do You Do It? Why Does It Matter? In recent local church history, discipleship is more about studying the Bible alone, but when all dysfunction breaks loose in a marriage or family, it’s time for counseling. This approach to caring for others is sad to me because discipleship has always been the church’s answer to soul care. Recently my friend Mary and I were in a co-counseling session with a friend, which is a standard feature of how I do counseling. Though it’s not possible to have someone sit in on all my sessions, I like to do it as often as I can. This counseling context gives the person an opportunity to get “on the job training” as they observe real people in difficult situations, receiving biblical help. A cornerstone to our ministry is leadership development (2 Timothy 2:2). Thus, an individual sitting in on sessions one aspect discipleship training. A disciple is a learner and follower of another (1 Corinthians 11:1). Therefore, as a Christian who counsels, it is my job to help people to learn how to follow Christ. The truth is that I am a discipler, not a counselor. How Can I Make a Career in Counseling? 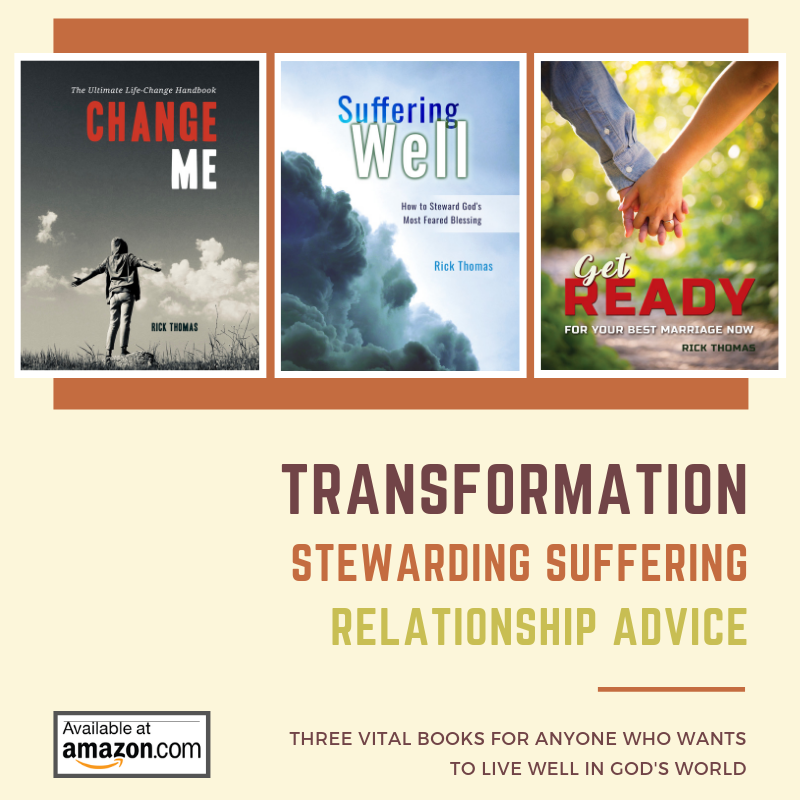 I use the word counseling mostly for marketing purposes because our Christian culture understands the term, and that is what they are looking for when they need help. I am not “pro counseling” as much as I am “pro discipleship.” Counseling is typically a point in time ministry, while discipleship (progressive sanctification) is a way of life. Whatever a person can do in a counseling office is replicate-able in a discipleship context. Maybe the best way to define counseling is that it’s a subset of discipleship; discipleship is the house and counseling is one little room. To split hairs between the two terms is not necessary. The average church prefers to separate the two words as though what happens in those two contexts are different. The unintended consequence is that many Christians do not know how to help people change. They see discipleship as a lower skill set while counseling is for a select group of Christians. Ironically, if you’re a good “counselor,” you’re going to lead them to Christ, and you’re going to make appeals for the individual to follow Christ, and that is the goal of all biblical discipleship. Let me put it this way: if you carefully disciple a person–or in modern football parlance, coached them up, in the ways of Jesus, there would be little place for counseling. It is not my goal in life to fulfill the counseling vision or mission for any church or organization. My aim is to equip all Christians to be like Christ, so they will be able to equip other Christians to be like Christ. This vision has always been called discipleship, throughout church history. It is tiring and unnecessary to divide counseling from discipleship and then try to promote them as being different, as though it makes a difference to do so. Any Christian counselor or discipler is seeking to get a person to trust God, or to live for Jesus, or to be mature in their faith, or whatever other synonymous descriptors you want to use. We are helping Christians to think like Christians, act like Christians, smell like Christians, walk like Christians, talk like Christians, love like Christians, serve like Christians while helping them to teach others to do the same thing. Promoting counseling or communicating counseling in such a way that it leaves a person thinking there is a two-tiered system in the body of Christ is not wise. A two-tiered system is when you believe that there are (1) those who can counsel and those who can’t or (2) those who need counseling and those who do not. Every Christian should be “counseling” (discipling). Every Christian should receive “counseling” (discipleship). From this point, I’m going to use the word discipleship. For the record and so you know, anytime I use the word counseling in any of my content, it is appropriate to use the word discipleship. I told my co-counseling partner that I do discipleship and she said that she thought discipleship was teaching someone about the Bible. Her definition of discipleship caused me to pause and reflect on her understanding of the term discipleship. Her comment opened a vista in my thinking about why there is so much sanctification failure in the church. She does not have a clear picture of what discipleship means. She would see discipleship primarily as a ministry to teach people about the Bible. And while that is true, it is only partially true. The word discipleship connotes much more than that. Her understanding also explains why there is such an emphasis at her church on teaching individuals the Bible. They have a lot of Bible studies and lots of contexts where people are learning about the Bible. This narrow view of discipleship can be confusing, in addition to being an inadequate practice. Become exegetes of the Bible. Pray according to the Bible. Talk to others about what the Bible means. Teach individuals to know a lot about the Bible. If you do not have both, you will not be able to live a life that replicates the Savior. He was the Word; He understood the Word, and He lived according to the Word. Discipleship is the acquisition of knowledge. Discipleship is the application of knowledge. The discipler is a teacher who not only teaches a person about the Bible and what the Bible means, but the discipler shows a person how to apply the Word of God to their lives practically. My former professor, Stuart Scott at The Master’s College, gave me a quick and helpful definition of the word wisdom. He said it is knowledge applied. The wise man knows how to apply the knowledge of God’s Word to his life. Connie came to counseling with her husband last year. Her husband was flirting with another woman at his work. Connie is a regular attendee at her weekly Bible study. Russ is faithful to his Wednesday night men’s meeting. There have even been times when they were called upon to lead their respective studies. In addition to their weekly Bible studies, they have been attending the same Sunday school class for 17 years. They also host a Bible study group for some of the teens in their church. I asked Connie how she had been responding to Russ’ flirtations with another woman. She said she would spend time studying her Bible. I felt sad when she said that. These two people have immersed themselves in various Bible studies for over two decades. In some ways, they are considered pillars of the church. The problem was that they were not complete disciples. They were incomplete followers of Christ. A disciple learns (knowledge learned) and follows (knowledge applied). They had spent nearly twenty years learning, but when it came time to apply, they were confused, hurt, angry, and broken. They did not know how to follow Christ through their situational difficulty. They knew the Word of God, but it was nearly innocuous in their time of need. In fact, Russ did not just start flirting recently. You don’t “fall into flirtations” with other people (Proverbs 6:25). Flirting begins in the heart while carving out a trail over an extended period before it ever gets to the harlot’s house (Matthew 5:28). The seeds of adultery have been festering in Russ’ heart for many years, the same number of years that he had been studying his Bible (Matthew 15:19). Connie and Russ were asked to go to counseling, as though counseling was something that their discipleship classes and contexts could not offer. Up to that point in their marriage, their discipleship was inadequate. If your Bible studying does not fortify you for your time of suffering, regardless of what that suffering is, there is something wrong with how you study the Bible or how the church provides contexts for you to study the Bible. 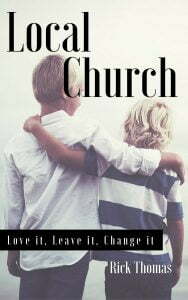 In the most recent church history, discipleship has been more about studying the Bible alone, and when all dysfunction breaks loose in a marriage or family, it’s time for counseling. Your discipleship understanding and discipleship processes and practices should be just as much preventative (application) as academic (study). My appeal to any Bible study group is to make that time together personal and applicable to what the real people in the group are experiencing. Too often if they are not studying the Bible, they’re going through a book like Peacemakers or some other excellent book and talk about the case studies and illustrations in the book, but never talk about the nitty-gritty of their lives. At best, the book is theoretical, but not practical to what is happening in their real lives and families. They may have chatted-up what “Biff and Marge” from the case study in the book should do, but never be any closer to solving the real-life situations in their lives. To study and apply are not mutually exclusive or segregated activities. The Savior taught the Word of God and applied it into the milieu of the people He was teaching. It is somewhat rare for me to teach people about the Bible when they come for counseling. Most of the people that I counsel have been to more Bible studies than they can recount. In fact, most of them are in small groups too. However, the reason they are in my office is that they do not know how to take God’s authoritative, sufficient, and infallible Word and practically apply it to their lives, and neither does their small group leader. What they get in counseling is the Word of God customized to their particular lives. The Bible is made relevant for them. The sad thing about this is that they have to wait until some heinous sin comes knocking on their door before they come knocking on my door. The church has everything we need for life and godliness (2 Peter 1:3). We just need to know how to reestablish our contexts and practices, so the people of God can be equipped, not just with Bible knowledge, but in how to make specific, hard, challenging, and relevant application to their lives. If you’re interested in learning how to disciple from a seasoned counselor, take a look at our two-year, self-paced study course that I customize to each student in our program. Click I want to learn more. I build the training around who the person is, what the student knows, and what they need to be effective disciplers for Jesus Christ. « Day 16 – Does Your Marriage Look Like This?